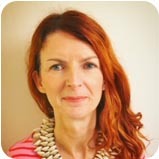 Jane has 25 years experience working as a Clinical Psychologist with children, young people and families, both in the UK and Ireland. The first part of her career was spent in Child and Adolescent Mental Health Services (CAMHS), with those affected by complex difficulties such as trauma, eating disorders, self harm, depression, severe anxiety and OCD. The last eight years of her career has been in a Primary Care setting, working with a wide range of children, many of whom struggle to manage their emotions, their behaviour or their peer relationships. Currently Jane delivers most interventions through group work. For parents, she facilitates a general parenting programme called Parents Plus, developed in Ireland by the Mater Hospital. She also runs a specialist 6 week Psycho-educational group for parents who have children who are anxious. This is a format she developed herself, based largely on what she has found effective in her work with clients. Jane also runs a variety of Coping Skills groups for children. Her current passion is helping children and parents work on understanding and managing feelings. The latest adaptation of this is called ‘the Emoji group’, targeted at 6 to 7 year olds. Jane is regularly involved in delivering seminars to parents, teachers and other professionals. She provides the psychological input to multidisciplinary seminars on managing Dyspraxia and Sensory Processing difficulties in children, as well as a new seminar called ‘Living Well’ for children affected by Arthritis, Hyper-mobility and chronic pain. Jane has also been Honorary Lecturer at the University of East London and Queens University Belfast.